Well, it's definitely November. And at least some of the wild creatures have figured it out. There have been many more mallards stopping by on their way south than most years. Mallards, like many ducks, pair up in the fall and will remain as a pair through the winter, and I have seen plenty of courting behavior. A male does a "head-shake"
It seems like Lake Wicwas is a good pick-up spot. In contrast to the mallards (considered "dabblers"), I have seen almost no diving ducks. I saw one hooded merganser back in late October, no more since then, and no common mergansers, golden-eyes, or ring-necked ducks, and I don't know why. The geese are still hanging around, though I don't know if they are the summer residents or birds working their way south from points north. And there has been a possible sighting of loons on Lake Wicwas this week, which isn't unexpected. 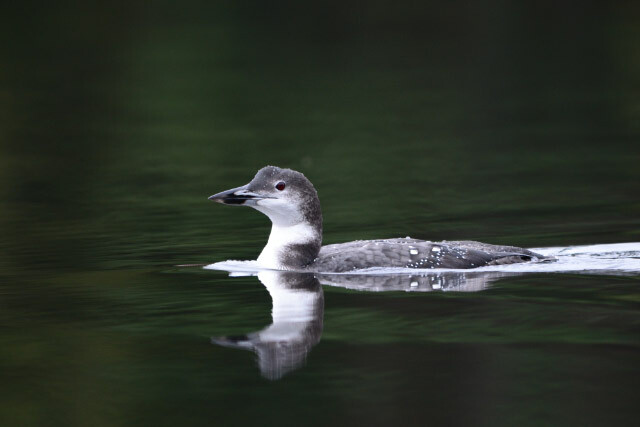 Loons are still in the area, including the female nesting loon on Pleasant Lake, thanks to Kittie Wilson's observations. I wonder if she will join her mate over the winter, or spend the season apart and reunite on the lake in spring. We don't need to be concerned about loons being here until the lake is almost completely frozen over. I was given clear notice by a flock of chickadees one afternoon that I was trespassing in their territory - lots of loud calling and complaining. 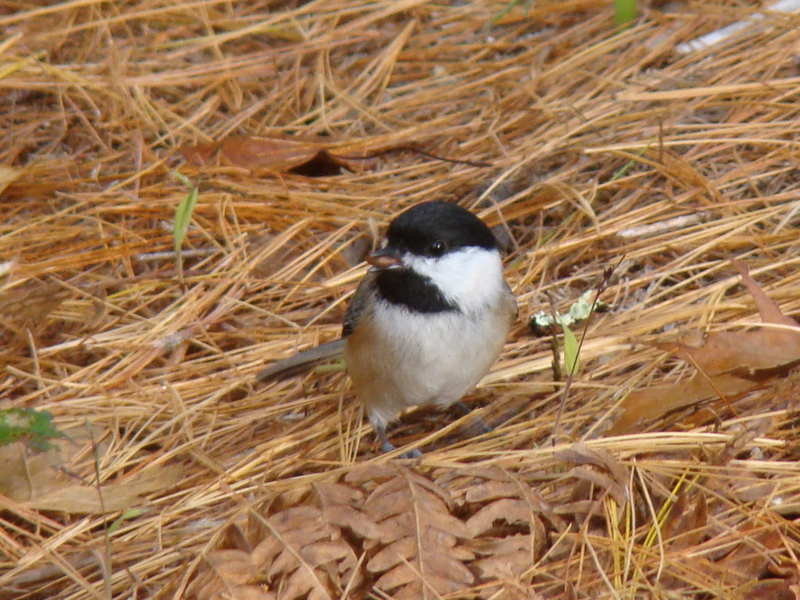 Chickadees have formed their winter flocks now, after spending the summer with their individual family groups. In breeding season mating pairs separate from the flock and spend the summer in a smaller territory with their immediate family. When winter approaches they gather again into larger flocks that together defend a larger territory, visiting their feeding locations on a daily basis. If they encounter another flock in their territory they will attempt to drive it away, yet they often allow other species to join their flock, which is why we see mixed flocks of chickadees, nuthatches, woodpeckers, and titmice at feeders. It may just the start of a long winter for birds and humans, but there are reminders that all seasons are fleeting: buds that will bloom next spring have already been formed, just waiting for their time in the sun. 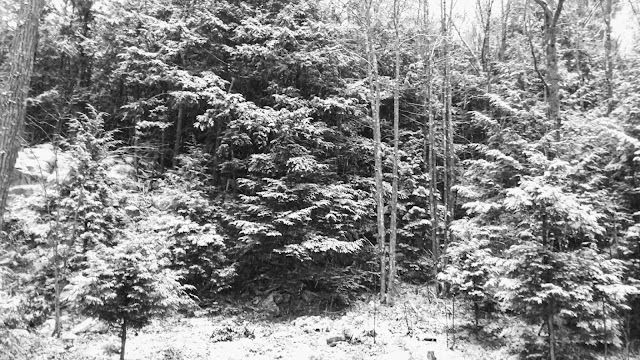 But for now, it's November. Correction: Last week I said the first frost occurred on October 9th - that should have said November 9th. November 26, 2017 - Happy Thanksgiving!